The QWERTY and touch experience on the Nokia E6 offers faster navigation and operation than either a pure touch or keyboard-only system. While experienced users can get much faster text-entry from a QWERTY keyboard than they ever will from a touch display, being able to launch apps and choose options through the touch screen is often quicker than navigating through options with the thumbpad. It’s the best of both worlds for busy emailers and status-updaters. Nokia may be ditching its Symbian mobile phone operating system and switching to Windows Phone 7 for future high-end smartphones, but the Finnish company still seems intent on pushing its Symbian platform for the time being — the business-orientated E6 smartphone is its latest creation. 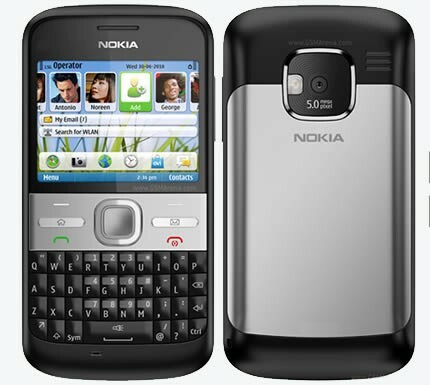 Nokia’s two flagship phones for the new Symbian^3 Anna update consisted of the X7 and the Nokia E6, with the latter packing a physical QWERTY keyboard combined with a touchscreen. The phone feels pretty standard for a Nokia E-series effort – rubberised, slightly raised keys that are quite easy to hit once you get used to the placement, and a large D-pad for navigating around the screen.